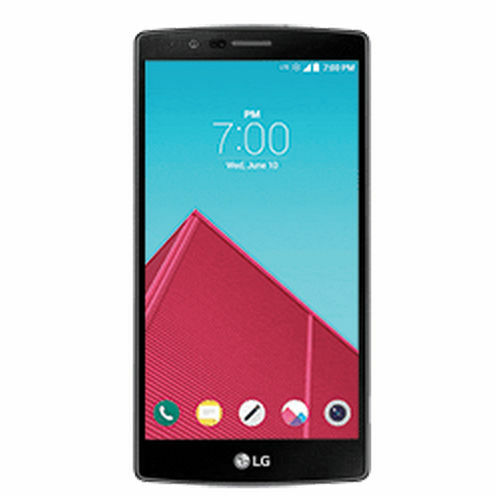 The LG G4 just launched recently, but already there's a killer deal on the unlocked device. 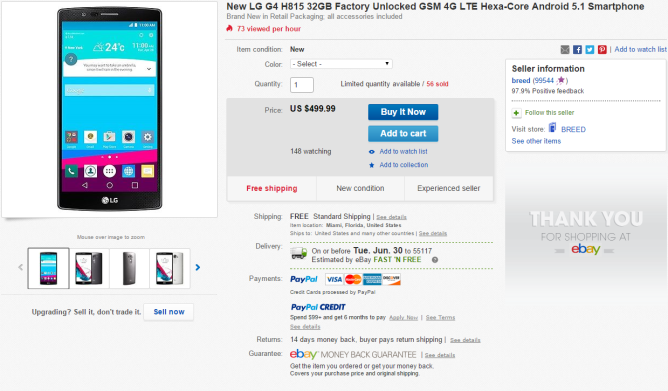 The European G4 (H815) is on sale via eBay for a mere $500. That's about $100 cheaper than you'll find it elsewhere. This device is intended for sale in Europe, but it does appear to have most of the cellular bands you'll need in North America. There's HSPA support on AT&T and T-Mobile (in 1900MHz areas), and LTE should work on both carriers. It doesn't have T-Mobile's newer LTE bands, but the main AWS band is included. The H815 is also the only variant that is currently supported by LG's official bootloader unlock tool. That means you can slap a custom recovery on there and get ready to flash some ROMs (eventually). You get free shipping on the G4 deal in the US and tax is only charged in Florida.